I requested for an early copy of this book because the synopsis gave me chills. However, I had been sleeping on it for a long time because I hadn’t heard major hype around it. It was finally this review by Jesse the Reader that made me pick it up. The protagonist, Yumeko, was the best YA female lead I’d read about in a long while. She used her wits and skill to overcome the obstacles in her way, which made me root for her every step of the way. The other main character was Tatsumi, a shinobi of the Shadow Clan, who was trained to wield a legendary sword that came at its own cost. The dynamic between these two and the people who joined their gang along the journey was very well done. There was a hint of romance and constant tension because they kept secrets from each other and I was completely invested in how their tenuous partnership would turn out. Each of the side characters and the villain was fully realised and fleshed out, so I enjoyed all of the character interactions. The plot was a masterpiece, striking the perfect balance between explosive action scenes that had me on the edge of my seat and quieter moments that helped me catch my breath a bit. The ending floored me by how much it left me wanting the sequel, which is the mark of an excellent first book. The world-building borrowed heavily from the feudal Japanese era and Japanese mythology and folklore, which was a unique and entertaining reading experience for me. 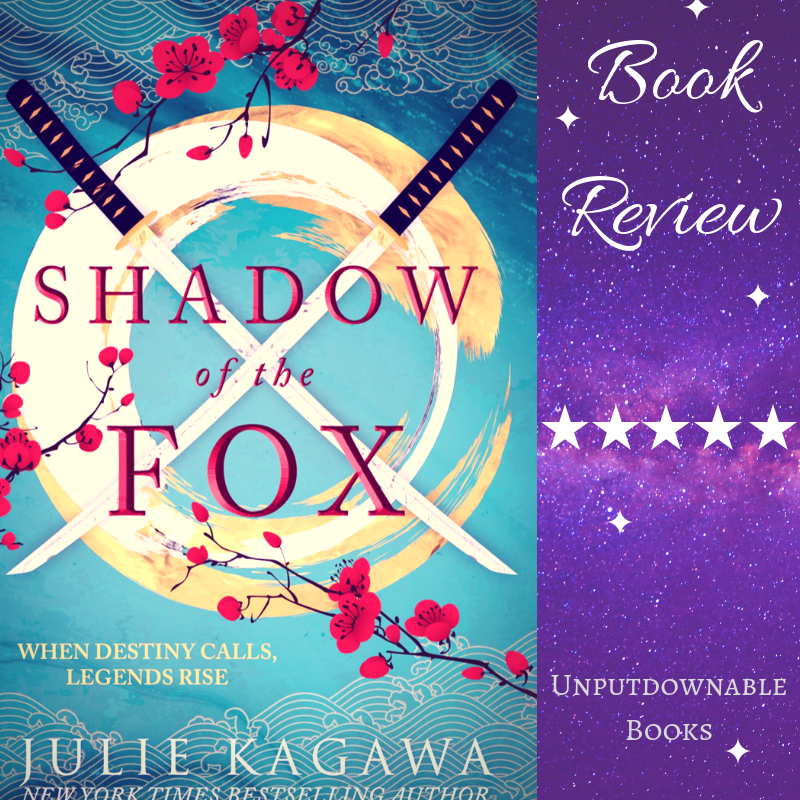 I adored Julie Kagawa’s writing style which was a mix of flowery and fast-paced whenever it was required. Overall, this was a book that sucked me in thoroughly and I cannot sing its praises enough! If you like sweeping fantastical worlds with a well-constructed plot and lovable characters, this is the book for you. Listen to an ambient soundtrack which includes authentic Japanese instruments to immerse yourself into the world and grab some delicious Japanese food also to enhance the experience. Have you read this book? Have you read of Julie Kagawa’s books? If so, what did you think? 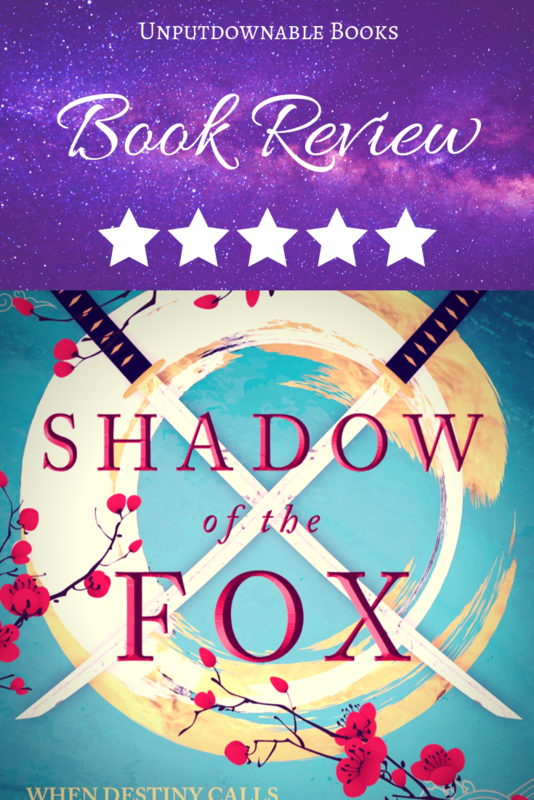 Do you have any #OwnVoices Japanese fantasy recommendations for me? Let’s discuss in the comments section below. THANKS NOW I NEED TO READ THIS ASAP why do you do this to me. I loved this book! Happy to see that you did as well ☺️ I cannot wait for the sequel!